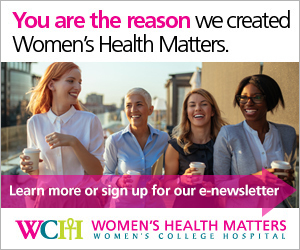 Women's Health Matters - What’s the difference between being depressed and being sad or unhappy? What’s the difference between being depressed and being sad or unhappy? But depression is an illness. It’s not the same thing as being sad or unhappy, although those may be symptoms of depression. Dr. Simone Vigod, a psychiatrist at Women’s College Hospital, explains that everyone experiences life’s ups and downs, but not everyone experiences depression. Sadness or a low mood is not always an inappropriate response. There are many situations, events and stressors in life that might make someone feel those emotions as they cope with a setback or a loss. This type of understandable reaction is not usually cause for worry. It becomes a cause for concern when these feelings don’t go away. People with depression have a consistently low mood, or a loss of interest in things that normally matter to them. A person must experience these symptoms on most days, for a period of at least two weeks to be diagnosed with depression. The symptoms of depression are often disturbing, and interfere with the person’s life and their ability to function. Someone with depression is feeling something beyond an appropriate or regular reaction to the ups and downs of life. The causes of depression are complicated, and research indicates that there is no single cause. Some people may be genetically or biologically predisposed to depression. Environmental and social factors, such as trauma and major psychological stress, may also play a role.